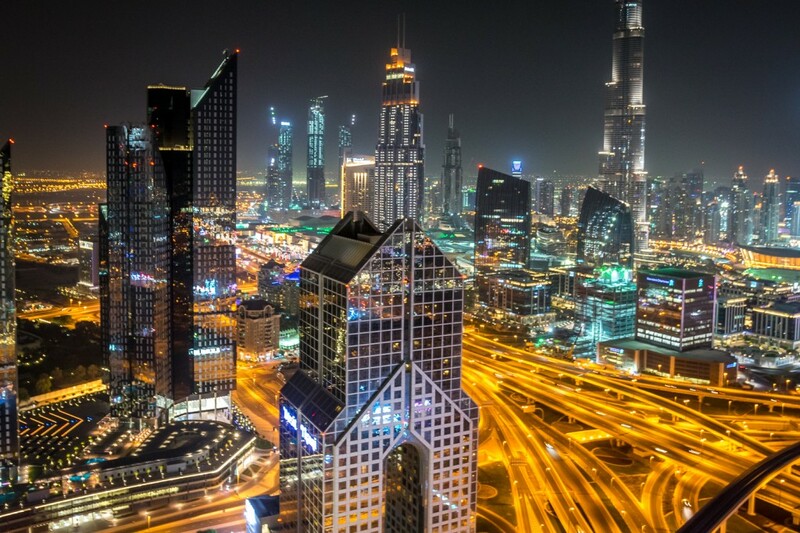 Dubai is a cosmopolitan city of lights, daring architecture, sky-rise buildings, man-made islands, immense shopping malls, desert safaris, exquisite nightlife and luxury hotels. Visiting for business, pleasure, or on a layover, short or long stay, you need your serene oasis to enjoy it all. 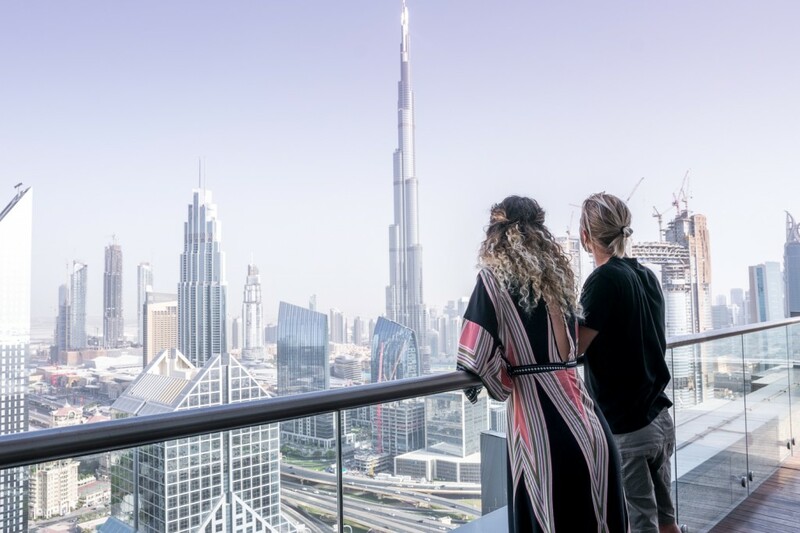 We truly believe for whatever the reason that brought you to Dubai, Shangri-La Dubai checks all the boxes. It has risen to be one of the most favorite places to stay in this diverse city. 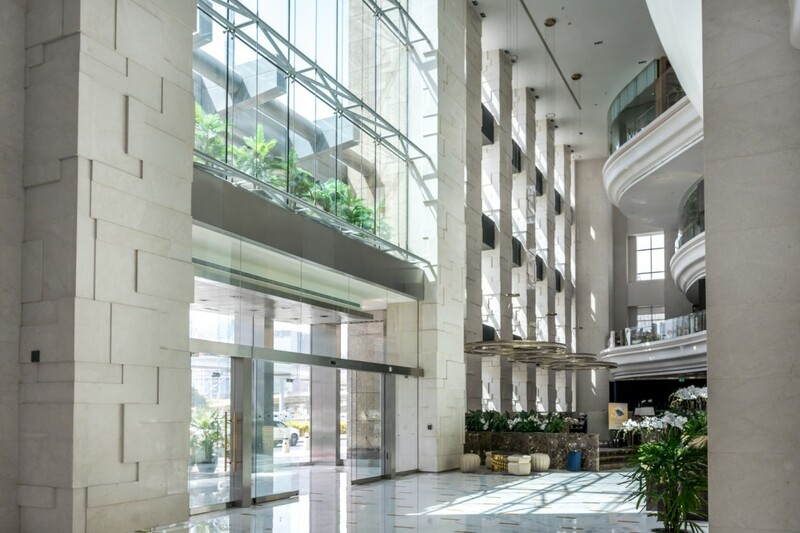 When it comes to location, the Shangri-La Dubai Hotel couldn’t be more accessible and perfectly settled, right in the heart of Dubai. It’s surrounded by unfathomable skyscrapers with only a short walk from the Financial Centre metro station. 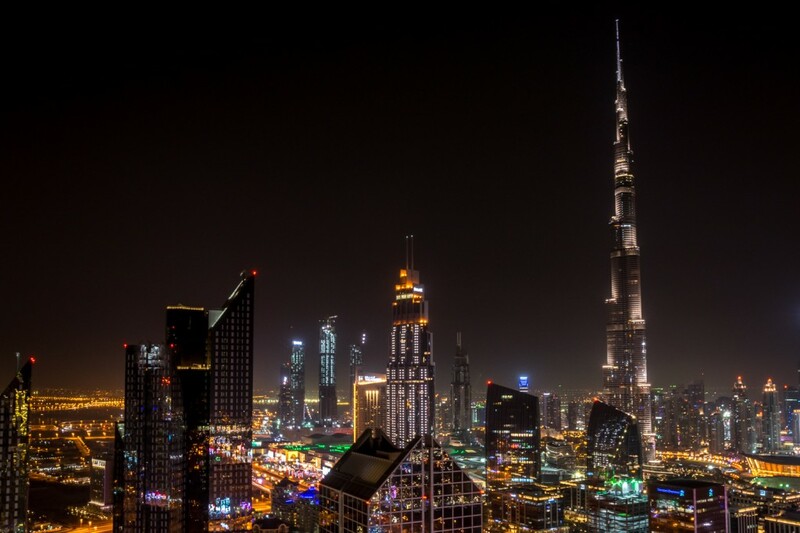 The hotel provides a complimentary shuttle that runs every hour to the Dubai Mall, the largest mall in the world. We arrived at Dubai International Airport at 5 am and took a short 15 minute drive with a taxi to the hotel. If you would like to, you can also arrange a pick up from the hotel in advance. From the moment we stepped foot out of the taxi we were greeted and treated with nothing but exquisite service making our stay feel very special indeed. To our pleasant surprise, the friendly front desk staff was able to check us in early so that we could have some rest after our overnight flight. 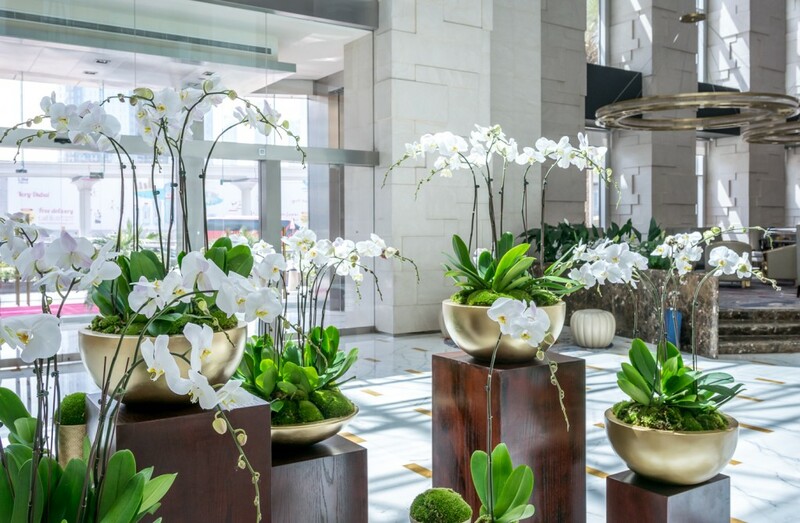 There is a key wow factor from the moment you enter in Shangri-La Dubai. 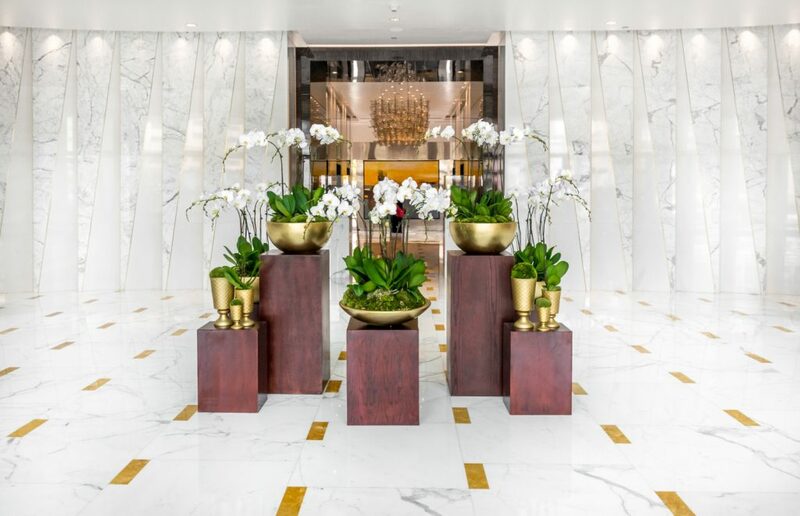 The lobby is strikingly stunning, with bright high ceilings, big windows, and awe-inspiring fresh flower arrangements. The attention to every detail exemplifies the contemporary luxury style with subtle elegance. The impeccable service made our experience unforgettable and we quickly decided to extend our stay. 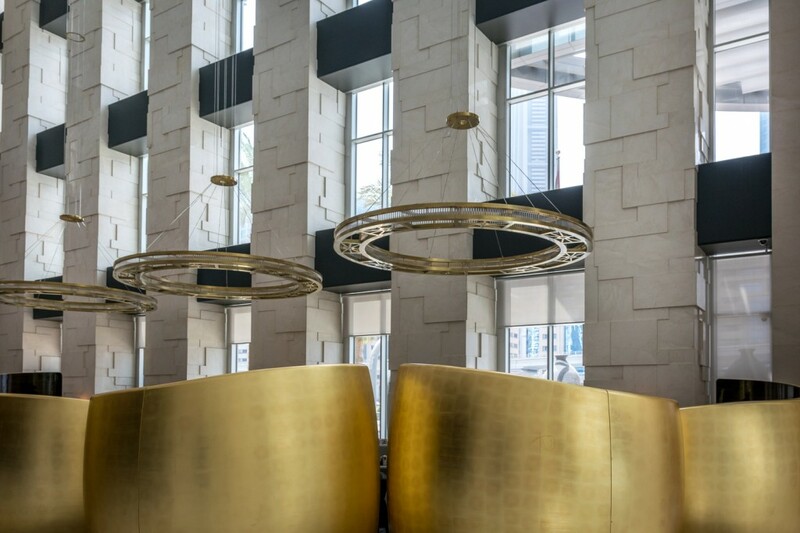 We have been lucky enough to stay at some really nice luxury hotels during our travels, and we have also worked in the hospitality industry for many years. 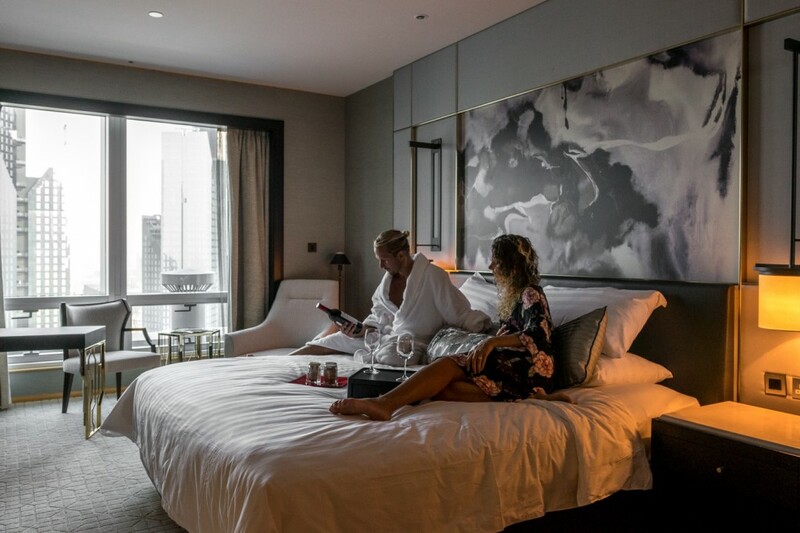 With that being said, we can’t believe how affected we were by the remarkably high level of service in every department at Shangri-La Dubai. From the lovely front desk staff and ultra helpful concierge to the always smiling doorman. From the happy and sweet hostess at the breakfast buffet to the hard working and always accommodating back servers. We were so touched by the phenomenal service from chef Titus who would make us a special Masala Dosa and personally bring it to our table every morning as well as the friendly attentive pool employee Ralph. We felt like real royalty during our unforgettable stay. 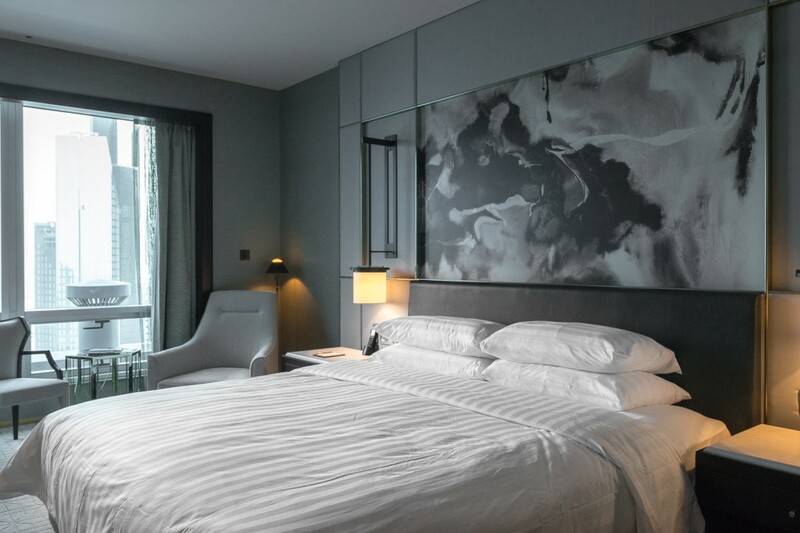 Visiting Dubai in the hottest time of summer, we were so delighted with our recently-renovated Premier King Room. 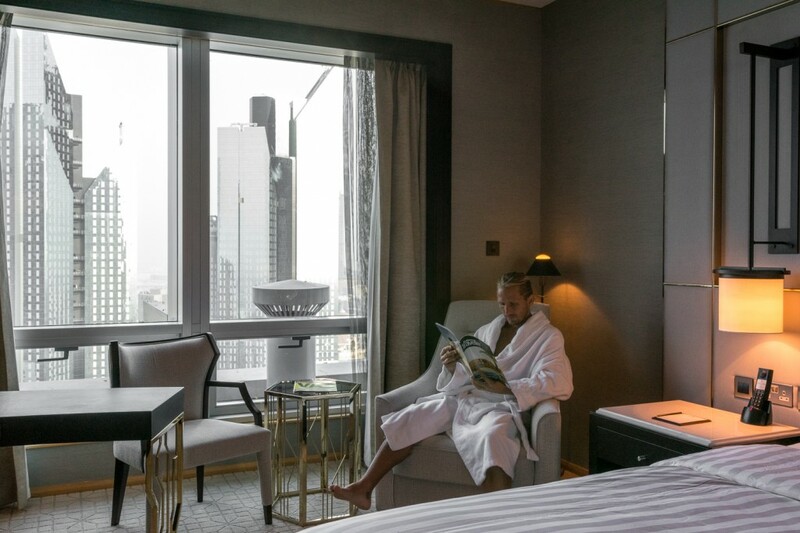 Having the magnificent view of the Burj Khalifa and the comfort of the contemporary décor made our stay surely relaxing and enjoyable. The room had plenty of light, grandiose marble bathroom and anything you could possibly ask for. 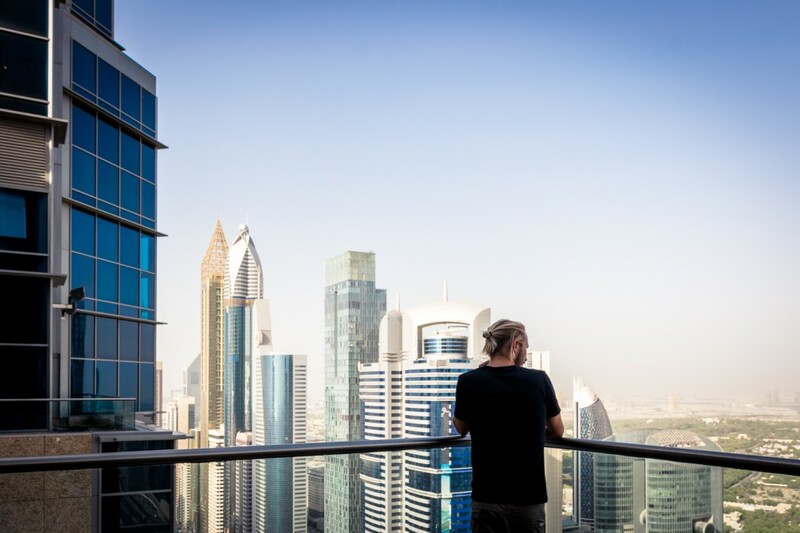 One of the many fabulous things that Shangri-La Dubai offers is the view from the 42nd floor. 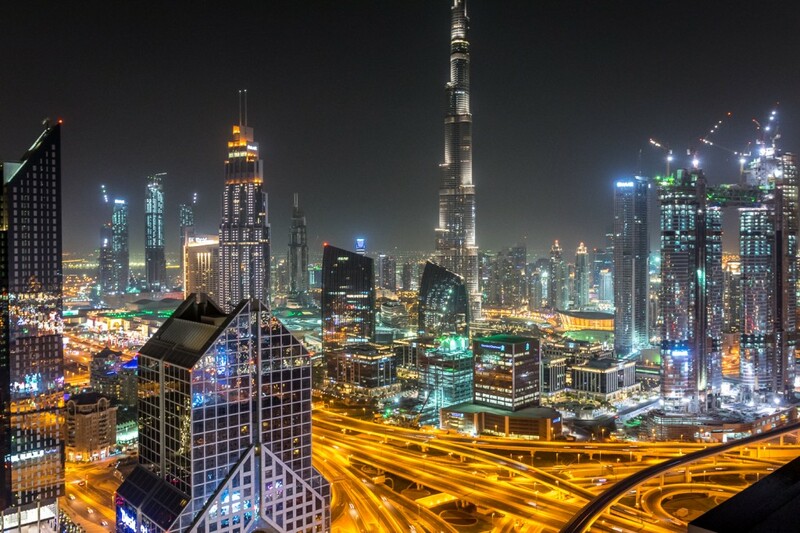 There wasn’t a day or night that passed by that we wouldn’t go admire the futuristic, mind-blowing views of Dubai’s finest architecture, especially the one and only Burj Khalifa. 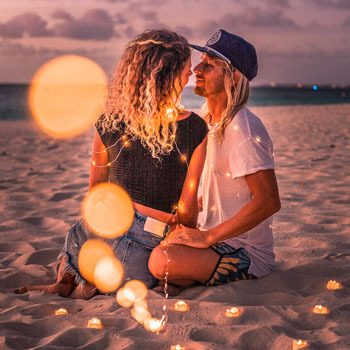 Definitely, our most favorite thing was watching the twinkling lights at night when the weather wasn’t too hot. If you are looking for pure relaxation, look no further than the spa at Shangri-La Dubai, Chi. 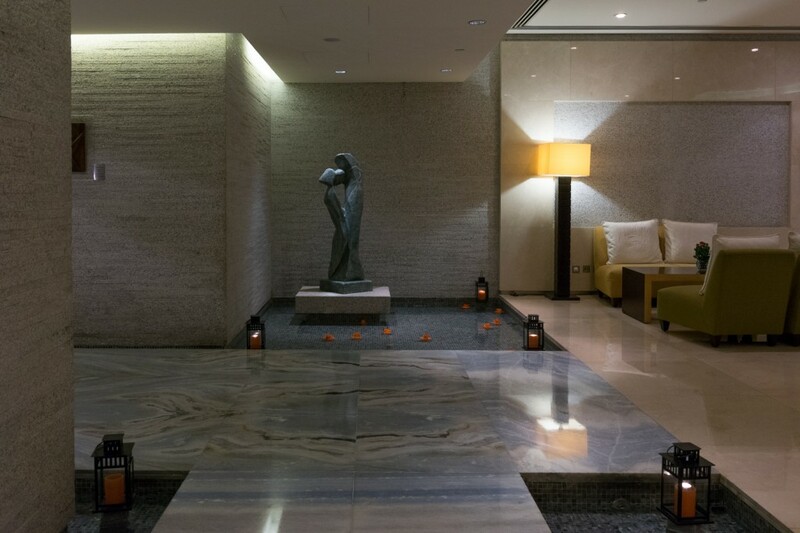 Here, you can indulge yourself in the zen spirit and rejuvenate to the next level of inner peace. If you like to workout while on vacation like we do, The Health Club at Shangri-La Dubai has all your needs covered. The gym is professionally equipped with many varieties of machines, weights, racquetball, yoga classes, as well as optional personal trainers. Above all, the rooftop pool is a wonderful place to escape the heat of the desert. Not only that, but you can appreciate another electrifying view of Burj Khalifa while sipping your favorite cocktail at the swim up bar in the pool. The Horizon Club guests can enjoy a tranquil indoor pool and jacuzzi located on the 42nd floor, with spectacular views of the Dubai skyscrapers as well as a private outdoor lounge. It even houses another gym if you prefer to workout more privately. Traveling as vegans has its challenges but not in Shangri-La Dubai. 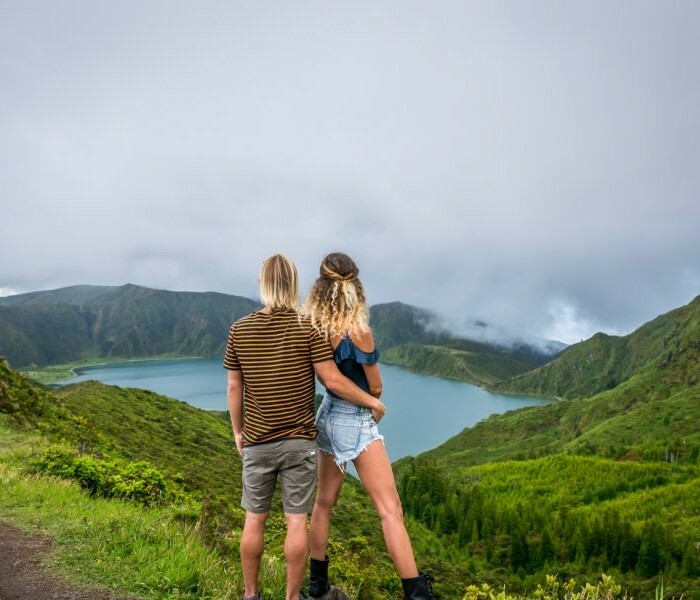 The Dunes Café is the location for an amazing breakfast experience and by far, has ultimately BEST food we’ve ever had in our 10 years of traveling the world. The incredibly talented chefs have created a buffet that caters and meets everyone’s needs as well as dietary restrictions. We were pleasantly surprised by the endless variety of vegan choices that were impeccably crafted to high standards. From the variety of fruit to the freshly brewed iced teas, flavored waters, quinoa milk, honeycomb stations, there were so many options. There are a number of live cooking stations where you can order delicacies from around the world. The flavors and options were endless. The chefs were incredibly accommodating and efficient. Shangri-La Dubai offers guests the only authentic Vietnamese restaurant across UAE, Hoi An. 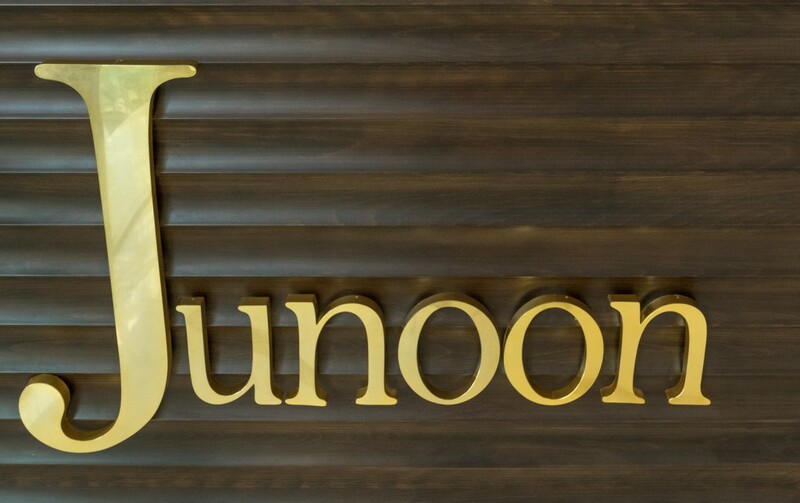 Another popular place is the acclaimed Michelin-starred contemporary Indian restaurant from New York, Junoon. Both were an absolute must! In conclusion, we were beyond content with our entire stay at Shangri-La Dubai. 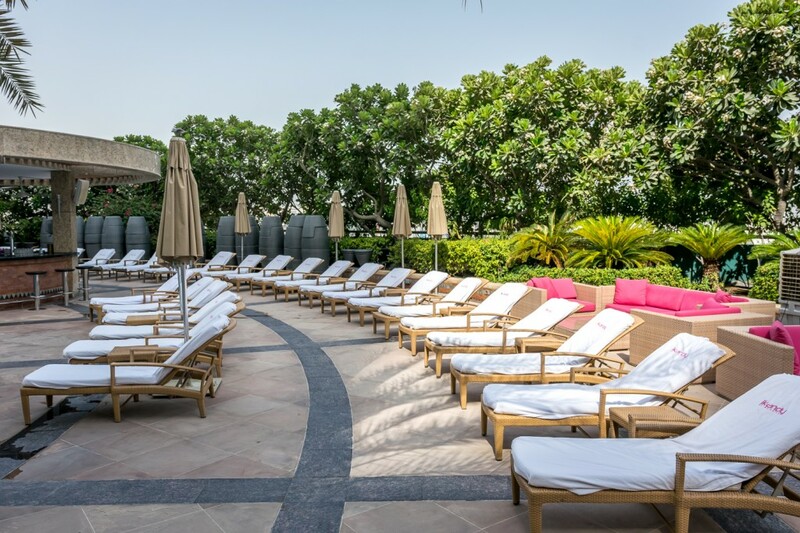 We can’t imagine not experiencing this luxury oasis in Dubai and wouldn’t have changed it in any way. *Disclaimer: We were hosted by Shangri-La Dubai, but all the opinions and views presented here are entirely our own. Thank you so much, it was a great place to stay while exploring the city of Dubai. 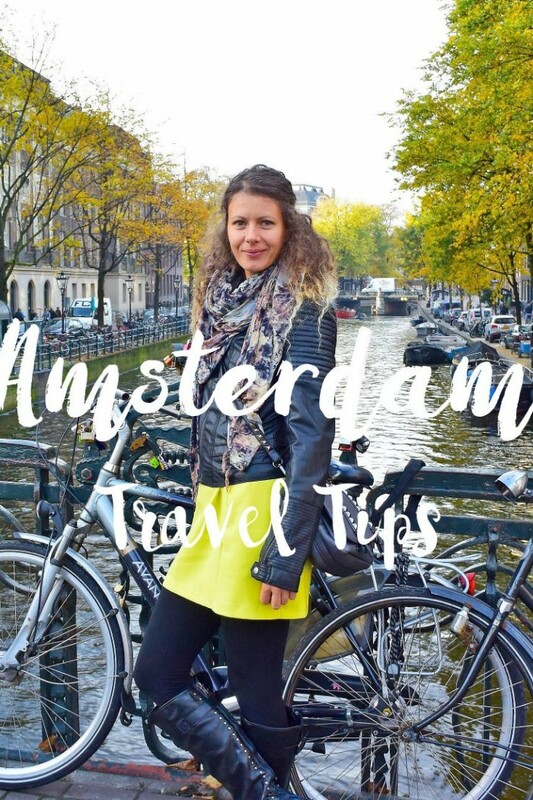 City breaks are so underestimated! You took it to another -very luxe- level! It;s so cool that you had so many options as vegans, we all know what a struggle it can be! Very underestimated. It was so awesome having vegan options for sure, we were amazed.